Ryan Babyface Benoit Signature Shirt « KOReps! 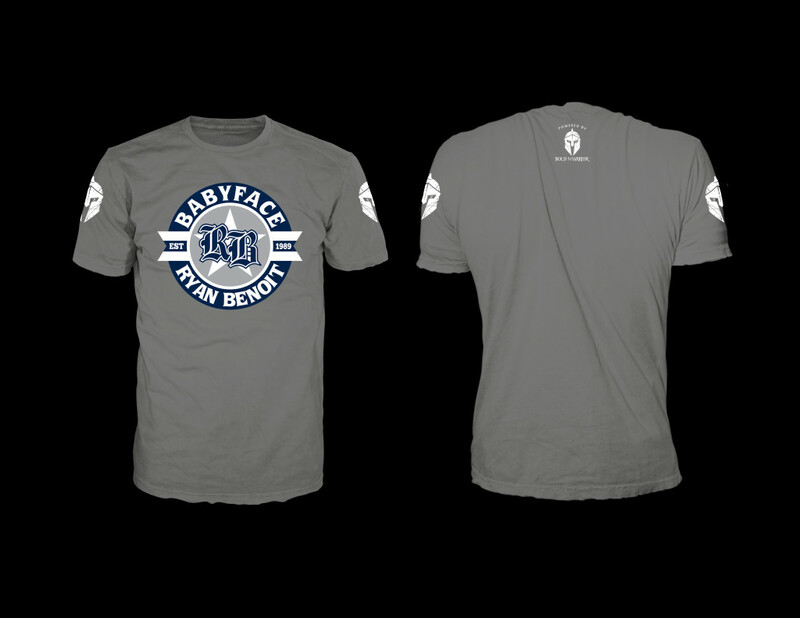 Leading up to his March 14th UFC 185 bout, Ryan ‘Babyface’ Benoit has released his first ever signature shirt! 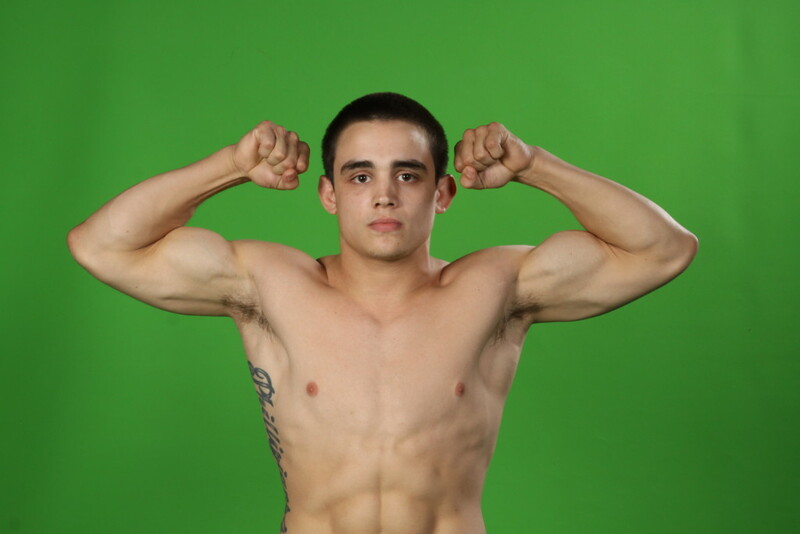 Ryan will get to fight in front of friends and family at the American Airlines Center in Dallas. 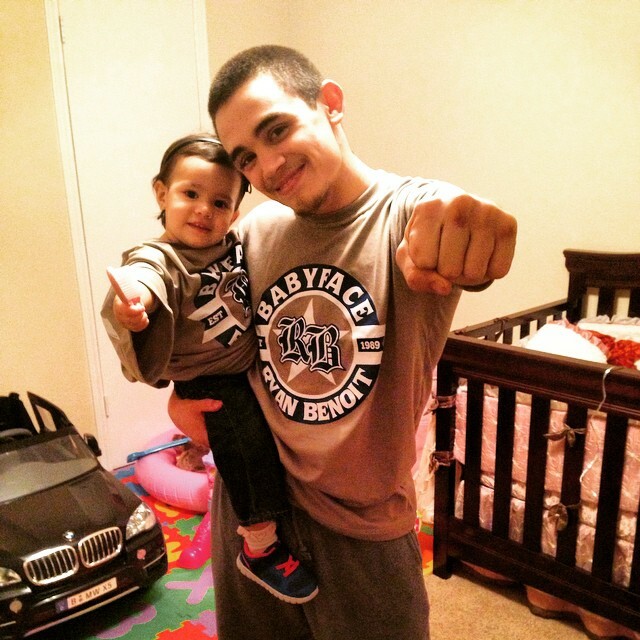 This will be key when taking on Sergio Pettis, the younger brother of UFC Lightweight Champion Anthony Pettis. Both fighters have exciting styles and many think this could be fight of the night. Support Ryan by purchasing his shirt! The shirt features his initials RB in old english font which is similar to his back tattoo. Special thanks to Bold Warrior for the shirt production!